Everyone finds themselves looking for somewhere to lay their coat, bags, etc... 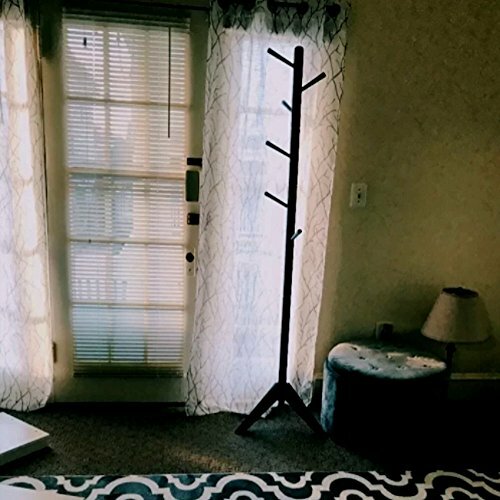 Adding a coat rack to your home is the perfect solution and this great scrolled steel stand makes a beautiful and useful solution. The top of the tree incorporates an upper and lower set of hooks to hold both hats and coats easily. The bottom opens up into a spacious umbrella stand with broad four-legged base for maximum stability. This unit measures 69 inches tall by 13 inches in diameter. 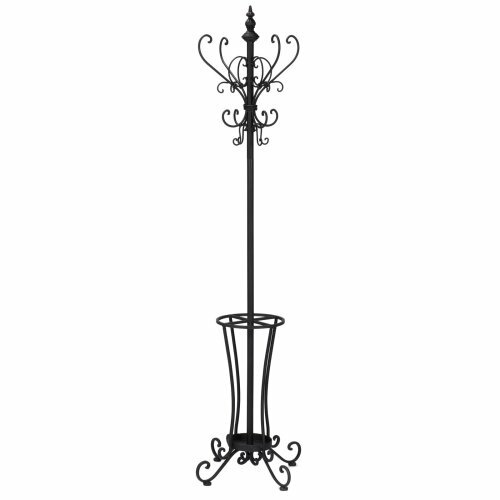 This ornate coat rack and umbrella stand is sure to make your life easier and provide great storage solutions when entertaining. 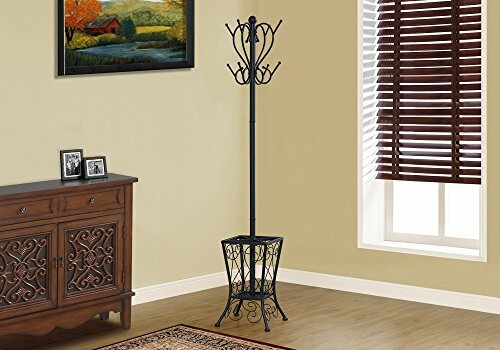 This functional and decorative all-in-one hall tree features 8 decorative scroll hooks and umbrella storage, durable metal construction and elegant, wrought iron composition. Dimensions include: Overall: 13" W x 13" D x 69" H. This one-of-a-kind item approximately weighs 18 pounds. Only quality materials and manufacturing will do. Product materials include: metal. Assembly: Some assembly required. Made in China. 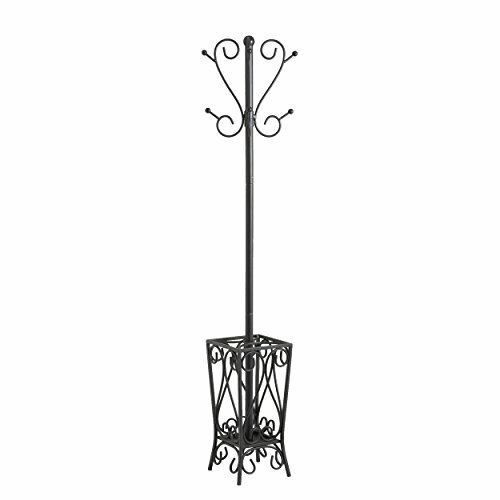 Enhance the look of your entryway or hallway with this black metal coat rack. The two tiered curved pegs paired with an elaborately scrolled basket offers the perfect place to store hats, jackets, scarves and umbrellas. The classic appeal of this coat rack lends itself to a stylish elegance reminiscent of a romantic Parisian apartment that will provide you with years of lasting enjoyment. 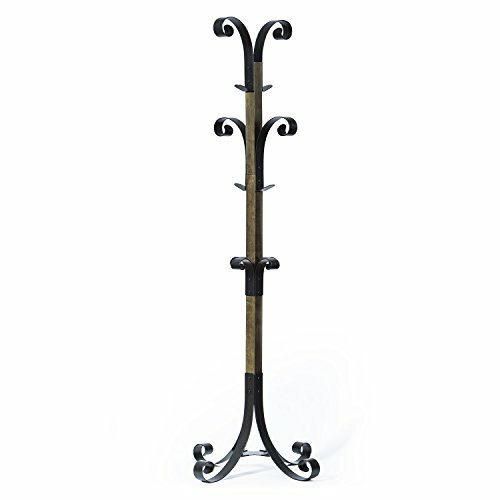 Rustic and graceful, this scrolled metal coat rack is as beautiful as it is useful. The decorative scrolls around the top double as coat and hat holders, while the umbrella stand is divided into four sections for easy accessorizing on the go. 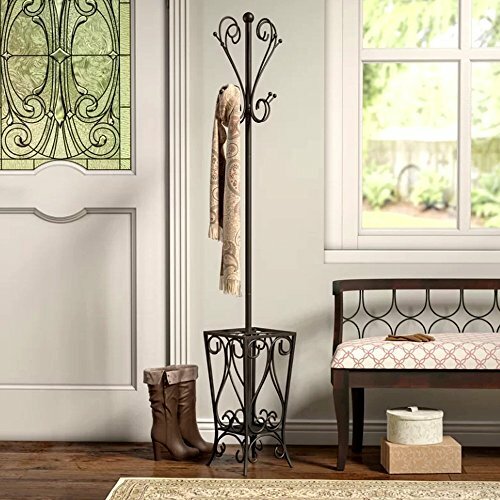 This hall tree and coat rack combo is the perfect entryway organizer! 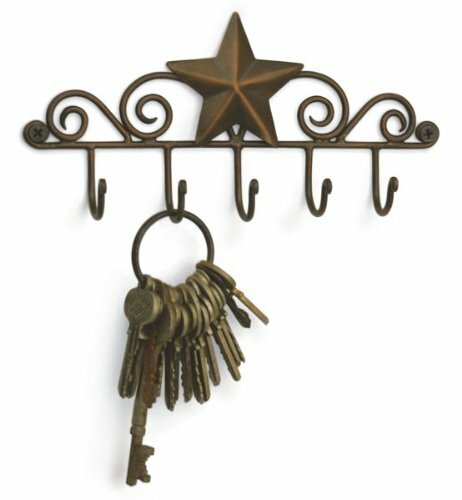 this piece features 16 decorative scrolled hooks and umbrella rack, a durable metal construction and an elegant, wrought iron composition. Dimensions include: Overall: 14.5" W x 14.25" D x 71" H. This one-of-a-kind item approximately weighs 19 pounds. Only quality materials and manufacturing will do. Product materials include: metal. Assembly required. Made in China. 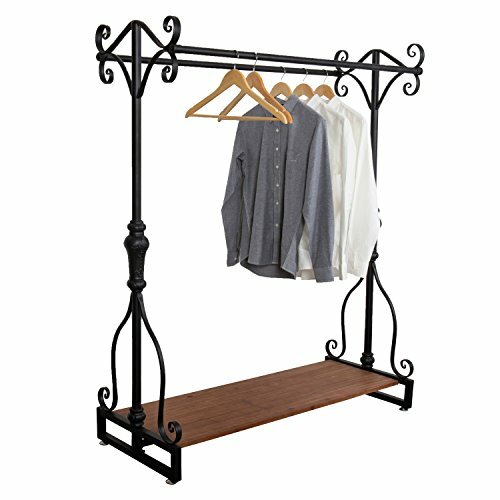 Bring a traditional sense of style to your home with this entryway rack. This rack pairs gorgeous antique styling with wall mounted storage to maximize space. This rack features a lovely silver finish and ten decoratively scrolled hooks for coats, hats, and accessories. It is constructed of metal and raised slightly from the wall to allow room for items to hang. This entryway rack is perfect for homes with traditional and transitional décor. Add it to your entryway, hall, bedroom or any spot you hang your hat!